A California judge ruled on Monday that Michael Avenatti, the outspoken attorney for adult-film star Stormy Daniels, is in breach of a personal obligation to pay a $4.85 million debt. The ruling, by California Superior Court Judge Dennis Landin, is just the latest development in a long-running dispute between Avenatti and Jason Frank, an attorney who once did legal work for Avenatti’s law firm, who contends that Avenatti and his law firm have repeatedly reneged on a multi-million-dollar settlement agreement approved by a bankruptcy court earlier this year. There was no response. Avenatti, who has been teasing a potential run for president in 2020, was a no-show. Earlier Monday, he tweeted that he would be in New Hampshire helping to encourage people to get out the vote. “I’m happy with today’s judgment and look forward to collecting the money that’s been owed to me for five years,” Frank told reporters after the court ruling on Monday. Avenatti had agreed, according to a court settlement filed in the bankruptcy case of his law firm Eagan Avenatti, to personally guarantee the payments to Frank if his law firm did not pay up. Frank filed the suit against Avenatti in state court in May when the firm and Avenatti missed a deadline to pay the first of two installments toward the $4.85 million. Frank amended his lawsuit in July after neither the firm nor Avenatti made the second installment of $2.85 million. Frank is also pursuing a separate federal court action which seeks to collect on a $10 million-dollar judgment against Avenatti’s law firm. At a hearing in that dispute Monday afternoon in Los Angeles, U.S. District Court Judge Virginia Phillips indicated that she was inclined to assume jurisdiction of the case from the bankruptcy court, though she opted to defer a ruling. Frank is seeking to transfer the bankruptcy case to federal district court in order to pursue subpoenas for corporate and banking records of Avenatti’s law firm as he seeks to recover the award. 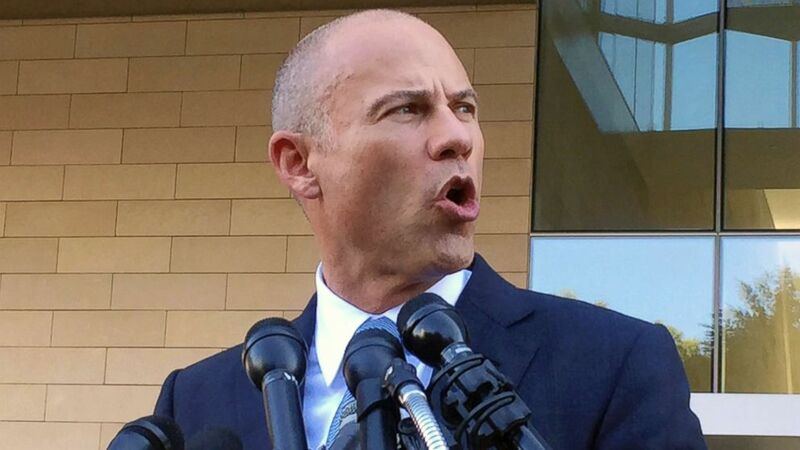 In yet another court proceeding on Monday, a judge in Orange County, California issued an order evicting the staff of Eagan Avenatti from their offices in Newport Beach, according to a report in the Los Angeles Times. In court filings reviewed by ABC News in advance of the eviction proceedings, the building’s landlord had alleged that Eagan Avenatti had failed for the past four months to make rent payments for its 8,300-square-foot ocean view office space. 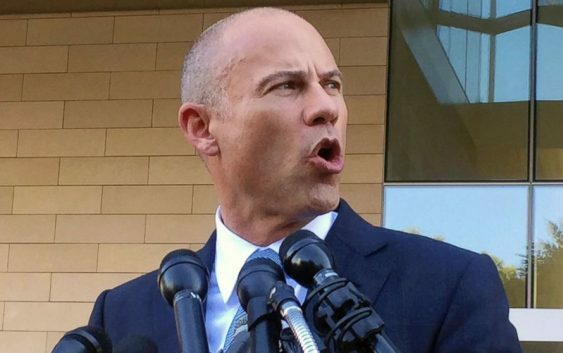 According to the Times, the court cancelled the lease and ordered Avenatti’s firm to vacate the space and to pay the landlord the full amount of past-due rent, amounting to more than $200,000 dollars. Though Avenatti did not oppose today’s motion before Judge Landin and failed to appear at the hearing Monday, he has contended in previous court filings in that case and others that Frank is barred from recovering any money. He has asserted that Frank’s law firm is “attempting to use its judgment as a weapon to destroy” Avenatti’s business. 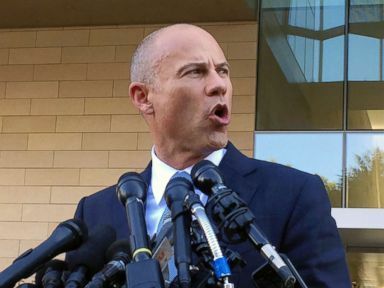 Reached after the court ruling, Avenatti told ABC News that “any judgment issued against me will be deducted from the over $12 million that Jason Frank owes me and my law firm Avenatti & Associates as a result of his fraud.” Avenatti has alleged that Frank improperly ended his contract with his law firm and took clients with him. Frank’s attorney, Eric George, dismissed that allegation from Avenatti, calling it “more delusional nonsense” and vowed to “immediately start going after” Avenatti’s assets as soon as the court has officially recorded its judgment. “At the end of the day, until he pays this judgment off, it will follow him around for decades,” George told ABC News in an interview after the court ruling.